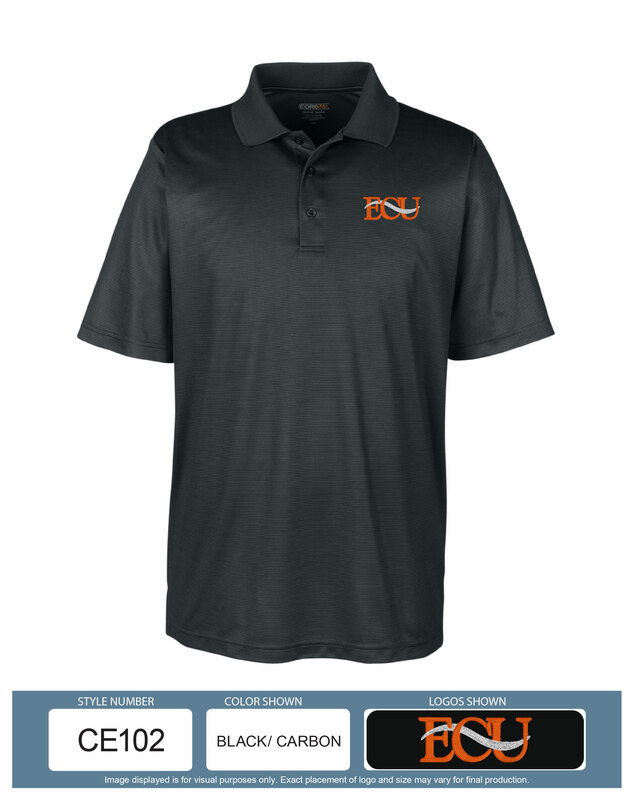 Please select option for ECU Ladies' Polo. Please select option for POLO-ECU-BLACK. 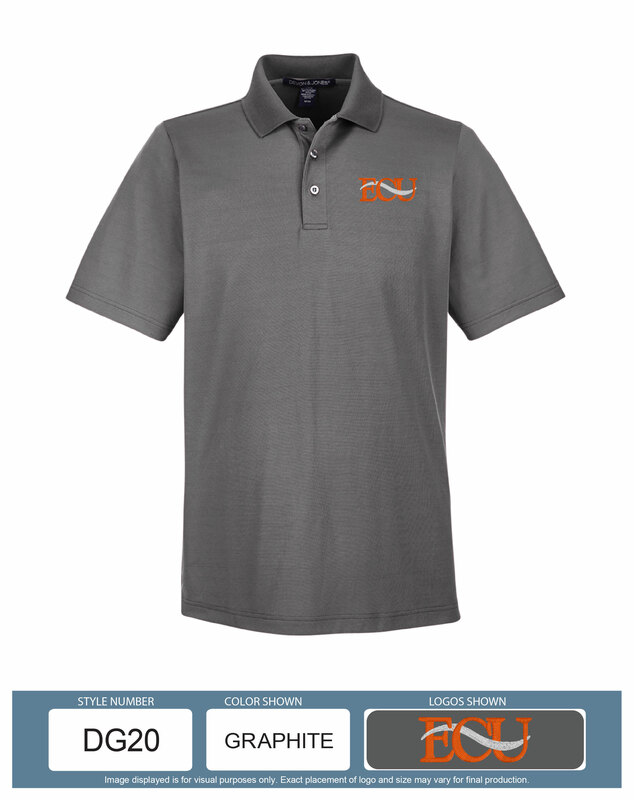 Please select option for POLO-ECU-BLK/CARB STRIPE. Please select option for POLO-ECU-GRAPHITE. 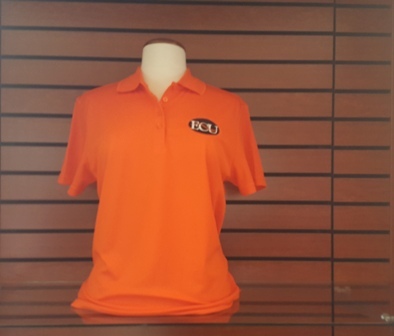 Please select option for POLO-ECU-LADIES. Please select option for POLO-ECU-LADIES-PIQUE. Super soft thermal sweater with 1/4 zippered neck. 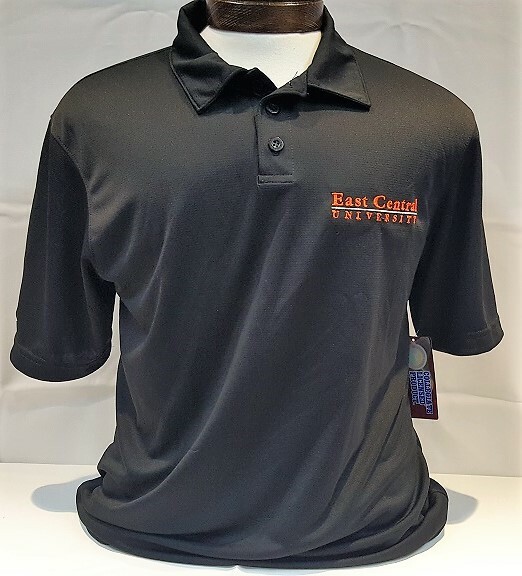 Dark gray body with ECU Tiger logo printed on the chest. Unisex, with a 60% Cotton/40% Polyester fiber content. Please select option for Rally Zip-Up Sweater (Unisex).